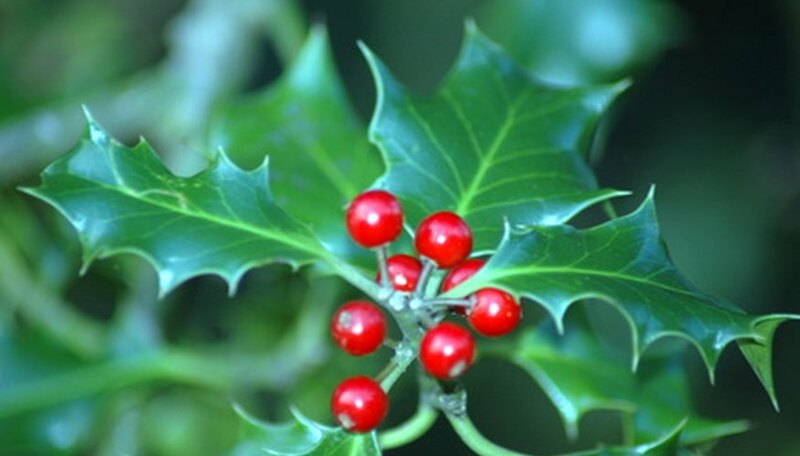 Holly is found in most parts of the world and because of this history and folklore comes from different regions. History is often entwined with folklore that has come down from generation to generation. There are many different species of holly that grow to about one foot tall all the way to sixteen feet and higher. Holly is unique because the plants have gender, male and female. The female produces red berries and the leaves are green to blue with spines. Holly was sacred the ancient Romans. They decorated with holly during their holiday of Saturnalia occurring on the shortest day of the year (winter solstice). This was a time when they gave gifts to each other in honor of the god, Saturn. Holly was placed on doors to keep evil away during this time. 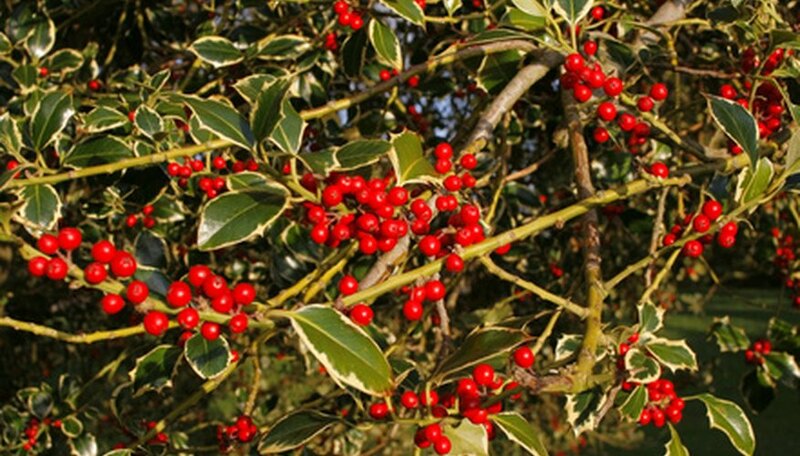 The Ancient Celts and Britains held holly in high esteem and it was a sacred plant of the Druids. They used it to heal the sick and would hang branches in homes to keep evil away. They believed that the Holly King ruled death and winter while the Oak King ruled life and summer. There was always an altercation at the winter and summer solstice between the two. In Ireland holly brought in to decorate the house during fair weather meant the wife would rule the house for the year. If it was brought in during a storm the husband would rule. In many parts of Europe holly repelled evil. Wreaths were hung on the doors inside houses because it was a good place for fairies or elves to hide and play while waiting for the elf Santa to come and visit. 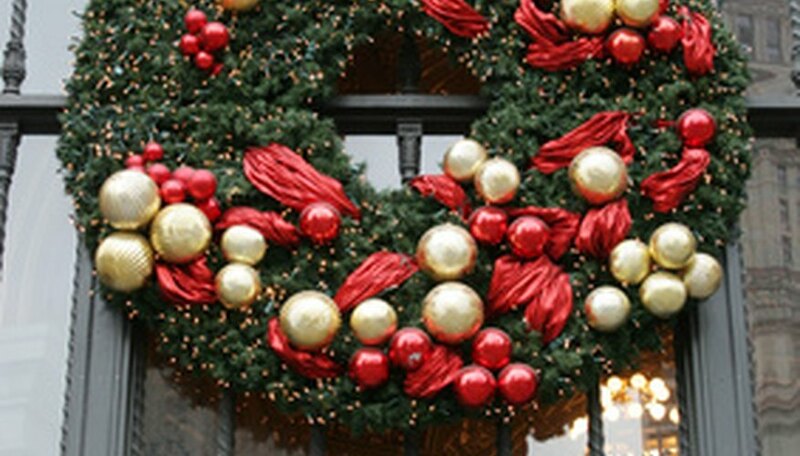 It was tradition to remove the wreath by Twelfth Night or luck would turn bad. It became a custom to keep one sprig of holly to ensure good luck for the year, which is why in many churches the holly wreath is cut up and a piece given to all the parishioners. Japan has a type of holly that is grown in that country. It is related to the Sun Goddess Amaterasu. This goddess would hide in her cave during the winter and needed to be coaxed out. Uzume, a clown goddess, has the job of luring Amaterasu out of her cave every spring. She would tie a sacred jewel and mirror to a holly branch and dangle it by the mouth of the cave while she danced. Soon Amaterasu would come out and spring would begin. There are many different customs related to holly from the Christian religion. Holly is a main decoration during the Christmas season mainly because it is evergreen and can be used in wreaths during December. Christian folklore states that holly leaves used to fall off during the winter as did the leaves of an oak. When the Holy Family ran from Herod’s soldiers a holly tree hid them by its trunk while the leaves closed tightly in around them. Herod’s men did not see them and they escaped. Because of this holly was rewarded by being able to keep its leaves all year round. 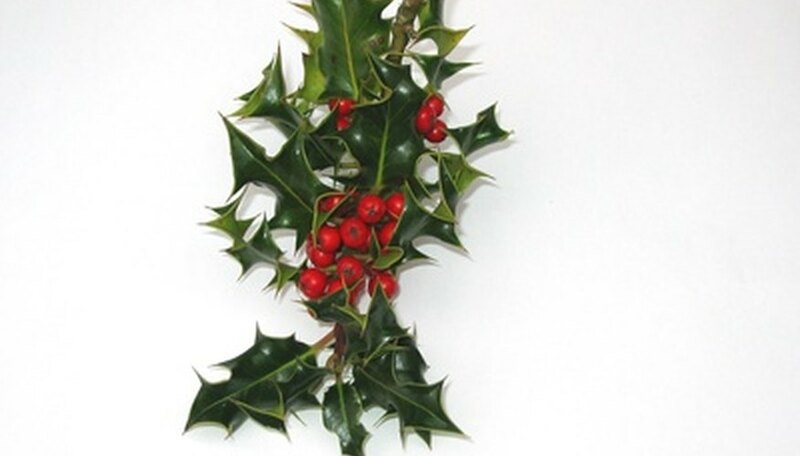 Most holly leaves do have thorns so make sure to wear gloves when cutting holly from the bush to make wreaths. 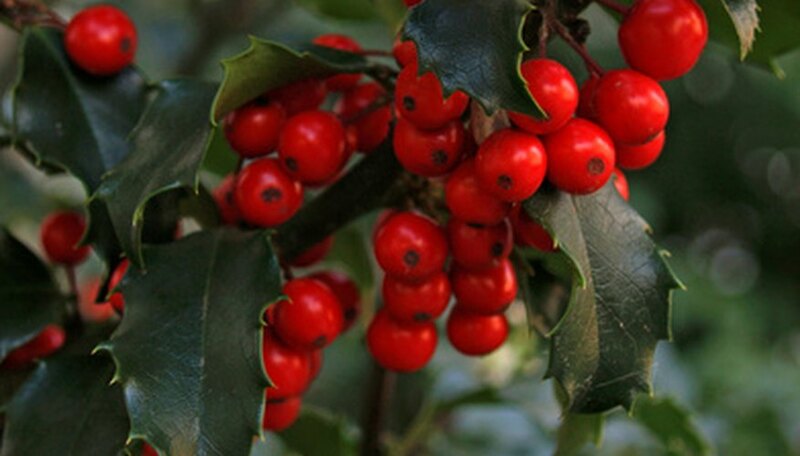 Red berries only appear on holly bushes if you plant both a male and female in the same area. If you only plant one bush you will not get berries. Berries are mildly poisonous to humans and an adult that ingests more than three of the berries may have to put up with nausea, vomiting and diarrhea that will last a long time. Children and pets can be affected by less than three berries.